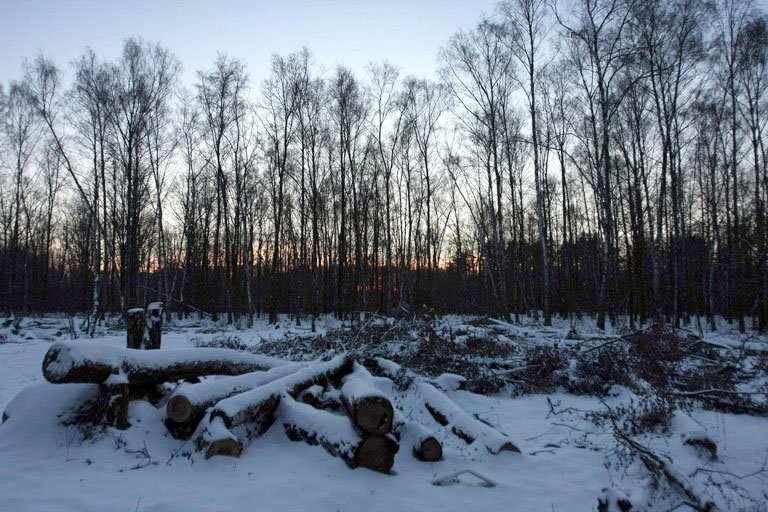 Russian activists have held off construction of a major highway through an old growth forest outside of Moscow much longer than most would have imagined. What began as a seemingly provincial standoff between an embattled newspaper editor and journalist—Mikhail Beketov—and the Khimki political elite has turned into a much larger struggle. (Beketov nearly paid with his life, however, his fingers smashed and his skull crushed. He remains brain dead and confined to a wheelchair.) Indeed a campaign to save a forest, ostensibly an environmental movement, has suddenly become the new face of Russian civil society. Of course this has raised the stakes. And with the construction of the highway looming it appears that the government and the Khimki forest defenders, as they call themselves, are headed for a showdown. At least ten activists were arrested at a gathering today for allegedly demonstrating without a permit. But judging from continued threats to organizers and activists they are a source of concern to someone. And the company, by pushing ahead with the project, is tacitly endorsing the intimidation and violence used against the peaceful protesters. In mid-March, Yevgenia Chirikova, a mother of two who has become the group’s de-facto leader received a visit from representatives of the municipal department of guardianship. According to the Washington Post, the officials said that they had received a letter from a neighbor alleging that Yevgenia—who took up a life of activism because of the potential impacts of clear cutting the Khimki forest—“beats” and “starves” her daughters. The charges were apparently groundless and the department later admitted that there was no such letter and that they were simply performing their “duty” to check on the children. Chirikova’s husband, Mikhail Matveev, has also been targeted. Head of an electrical engineering firm, his company’s offices were raided and he and several of his employees interrogated the day after Yevgenia led a demonstration calling for the minister of transportation to step down. The police also seized company documents and paperwork. This is par for the course in Russia. On one of my first visits to the country in 2002 I spent several months working with an environmental NGO in Irkutsk, Baikal Environmental Wave. They had been leading a campaign to stop the construction of an oil pipeline that would have cut through the Baikal watershed, a UNESCO World Heritage Site, holding meetings in small villages and towns in an effort to raise public awareness. On my very first day there the Federal Security Service, successor to the KGB, raided Baikal Wave’s offices. Several men wearing jeans and black t-shirts came into the office and addressed the group of mostly Russian, German, and American volunteers. They seized the group’s hard drives and files and searched the office, alleging that the organization possessed a map that disclosed state secrets. In a way it is surprising that the authorities (an admittedly vague phrase but it remains unclear who is behind the attacks on Khimki activists) are willing to use such crude tactics to intimidate the popular leader of a movement that has such widespread support. According to Yaroslav Nikitenko, another Khimki activist, 73 percent of Khimki residents and 66 percent of all Russians are against the project. But the list of activists and journalists beaten because of their involvement, either as observers or participants, is growing. Konstantin Fetisov, an environmental activist who had organized around the Khimki issue, was severely beaten in November. A few days later, Oleg Kashin, a journalist for the newspaper Kommersant who had written on Khimki, was attacked outside of his Moscow apartment. When asked if she thinks about what happened to Beketov—the journalist nearly beaten to death—Chirikova told the Washington Post that if she did she’d go crazy. “My tactic is complete openness. Whatever I undertake, I try somehow to reflect it or publish it in all kinds of media,” she said. Thus far it’s worked. You can learn more about the defense of Khimki on their Facebook page, and you can sign a petition to pressure Vinci to withdraw its support here.